I think the most common feeling of stuckness is the moment of indecision. When there are seemingly equal points being drawn on either side of a centre line, set-up to oppose each other and essentially tying knots in my stomach and brain…..I don’t know what to do. If I can’t say yes, my answer is no. Let’s look at some quick examples of confused indecision. My mom has phoned and reminded me twice that it is my cousin’s baby shower today. Both times I let it go to voicemail. My friend has asked me to help her organize her office because I am really good at sorting through the keep it, throw it question. 1. I really want to avoid feeling bad, doing the hard thing, telling someone no or bailing. 2. Something is in the way of saying yes. It may be simply that you just don’t want to. It may be that you do want to, but the truth is you don’t feel ready. It may be that you could, if something changes first, that you need to rework it so that it works for you. All reasonable responses from your truth telling self for you to take in and acknowledge and to recognize they lead to no. Now, guilt could make us say yes, obligation could make us say yes, trying to use convincing tactics could make us say yes but these are NOT examples of your truth telling self. Yet all of them need an equal amount of acknowledgement. Indecision strikes when we don’t want to admit to ourselves the truth of our moment. 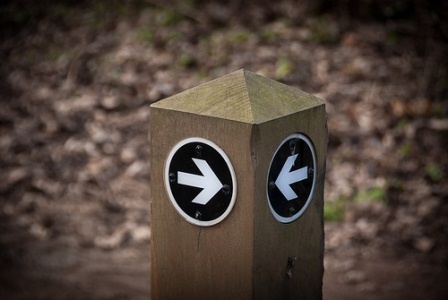 One side of indecision holds the truth for you and most likely there is something hard about admitting it to yourself. However, the sooner you do, the sooner the hard moment passes. To set myself free I make the move. If it involves telling someone, I pick up the phone. I feel the hardness of it. Then, I let it go. And it lets go of me. My breath begins to move deeper into my body. Energy returns and I remind myself that it’s okay. New options can present themselves now that I have taken care of this moment.